“It’s wise not to put all the eggs in a basket!” – A statement you’ve probably heard many times throughout your life, and when it comes to investing, that statement is true. Investment diversification is a critical factor in investment success. We have seen that people who have earned substantial profits from their money have developed a portfolio of investments that work in different market sectors and I advise you do the same! Portfolio diversification refers to the diversification of one’s portfolio so that one can minimize the chances of loss especially when the share prices fluctuate due to market volatility in a particular industry. Here ideally the investor would be investing in a wide variety of stocks from varied sectors, and again ideally he would be doing additions and subtractions of shares after carefully reviewing them on a periodic basis. Statistics show that wise investors take their time to develop investment portfolios that are well diversified. On average, they are more consistent and more reliable in their investment than investors who invest their money in one investment van. For instance, if you have put in all your cash in one business and the shares of this company are going down, you will lose some, the biggest or the worst of all your entire funds. Looking at it from another point of view, if you invested in twelve different company stocks and ten are doing well, while two are falling, you will still make some profit, or your losses will be abridged to a minimum. Developing a mixed investment portfolio might include purchasing many shares and stocks that come from companies that operate in different business sectors. Methods used to achieve the desired objective may consist of buying government bonds, putting funds in money market accounts or maybe even into properties, i.e., buy to lets, houses of multiple occupancies and also the standard buying and renting out homes. The key is to invest in different market sectors. An excellent investment diversification portfolio will include some fundamentals, e.g., they will consist of shares & stocks, property, bonds and cash!! 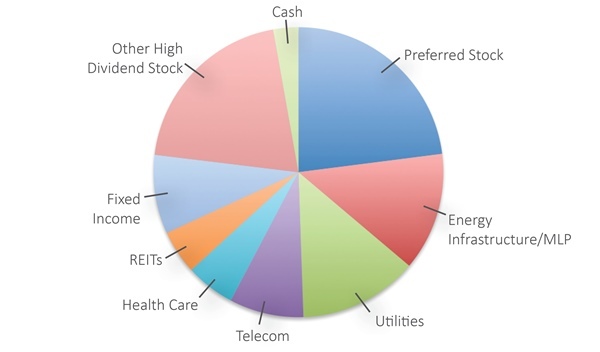 It may take time to develop an entirely diversified investment portfolio. Depending on how much you have to invest at the initial stage of creating your portfolio, you may have to start little say only investing in cash and then go onto invest in maybe property over the time. Portfolio diversification is an essential need for wealth creation that’s why as an investor, you’ll need to have a well-diversified portfolio. In the scenario that an investor has only limited knowledge about how to go about portfolio diversification, it would be prudent to take the guidance of a financial planning firm such as Kingston Trading. They are superb at what dishing out financial adviser to newbie or expert investors. A financial planner from a reputed financial services provider would be able to understand your current investments better and would be able to give a practical road-map on how you can achieve your financial goals in a particular time frame.